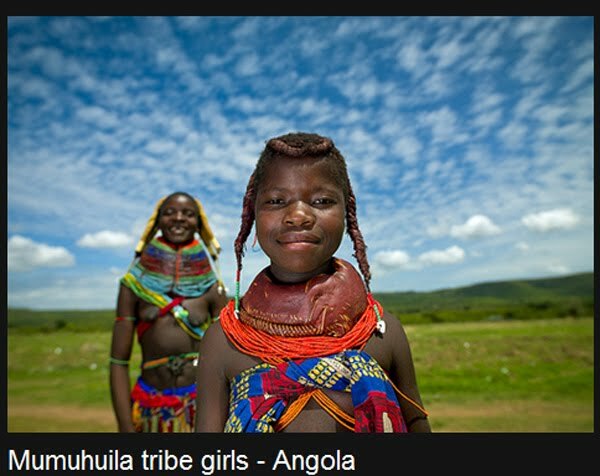 Mwila or Mwela people are a cluster of semi-nomadic ethnic group living in southern Angola, in the area of Huila. 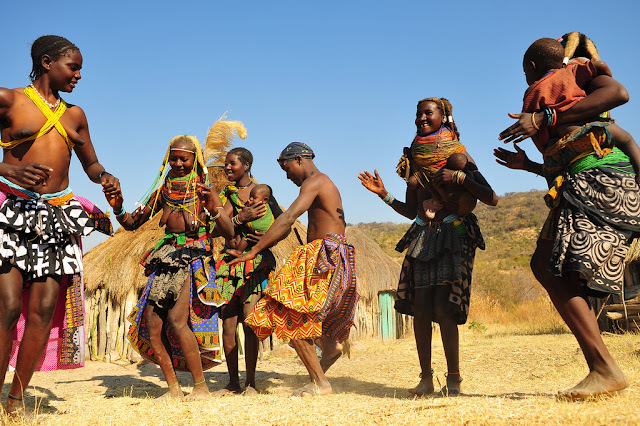 Mwila people actually belongs to the larger Nyaneka-Khumbi (Nhaneka-Humbe) amalgamated ethnic inhabiting the Haumpata Plateau and along the headwaters of Rio Caculovar in South Western Angola in Huila Planato or Huila Province, the province that takes it name from the people. The Mwela (Mwila) dilect speaking people of Nyaneka-Humbe (the first group is also spelled Haneca; the latter group is also spelled Nkumbi) include Mwila (which comprises Muila, Huila, and Quila and are together referred to as Mumuila by some historians and anthropologists) and lesser tribes of Jau, Humpata, and Kihita (Quinhita) as well as the Mwila-Gambwe tribes. Mwila people are famous for keeping to their traditional African culture as exhibited in their stylish hairstyles, unique way of putting up dresses and how they specially adorn their body with ornaments (jewelleries). Mwila people speak Mwela, a dilect of Nyaneka Bantu language which belongs to the larger Niger-Congo phylum. Mwila dilect is spoken by about 6% of Angolan people who are mostly residing in the Haumpata Plataeu and Huila Planato of south East Angola, Huila Province. Mwila people can be found mostly in Mucuma, Chibia area, Caiend and Lubango. Mwila people are of Bantu origin and are said to be one of the earliest Bantu people to undertake the Great Bantu migration to domicile in their present location in Angola. According to their oral tradition, they settled down in that area during the 17th century, because of a drought that made them abandon their lands in the country of Quilengues. In fact it seems Mwila are supposed to be a miscegenation of Jaga invaders, coming from east (and who made transitory invasion in Congo) and conquered the area, with the aboriginal inhabitants of the area, the Chimbemba (or Bachimba). The conquerors formed the powerful kingdom of Huila during the 17th century, led by a Soba, which ruled the area until the first half of the 19th century. Mwila were part of this chiefdom and most of the traditions of these Bantu cattle farmers date back to these times, although it is not clear for them nowadays. Unlike the other ethnic groups that fled from Angola to neighbouring country, Namibia as a result of wars, drought and invasion by powerful ethnic groups, the Mwila people and their parent ethnic group Nyaneka-Humbe did not disperse outside Angola. 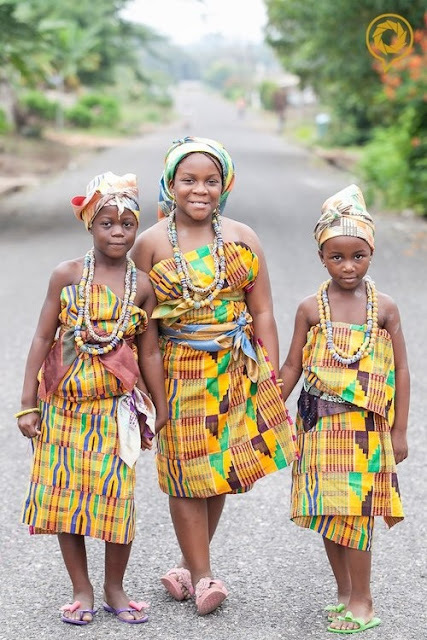 These people culturally remain fiercely independent, a point made clear by the continuation of their fantastic dress. The largest settlement in the region is Lubango. It became the only city in the former Portuguese colony that had a white majority at independence, because these semi-nomadic people outright refused to live there. In 1988 the Nyaneka-Humbe (the first group is also spelled Haneca; the latter group is also spelled Nkumbi) constituted 3 percent of the population. Beautiful Mumuila tribe city girl, Lubango, Angola. Mwila people are semi-nomadic people who engage in subsistence agriculture and some form of livestock keeping. They grow mostly maize and as well as other staples. They keep animals such as fowls, goat and cattle. The Mwila people are also noted for bee-keeping to extract honey which is major part of their diet. Mwila or Mumuhuila rarely eat meat, they rather eat porridge, corn, chicken, honey and milk. They kill their cattle only on special occasions. Living conditions are tough as women sometimes walk for 50 kilometers to reach Huila market to sell goods. They trade their livestock and crops for mostly things like cloth, blankets, sugar, cornmeal, salt, and wine. They have a tribal chief who serves as the head of the tribe followed by a headman. Serving under the headman are the elders. Conflicts are resolved by the elders and the headman. A diviner is also often called upon. Mwila are not allowed to mention people’s name in public. But Mumuhuila women are especially famous for their very special hairstyles. Indeed hairstyles are very important and meaningful in Mwila culture. Women coat their hair with a red paste called, oncula, which is made of crushed red stone. They also put a mix of oil, crushed tree bark, dried cow dung and herbs on their hair. Besides they decorate their hair with beads, cauri shells (real or plastic ones) and even dried food. Having their forehead shaved is considered as a sign of beauty. 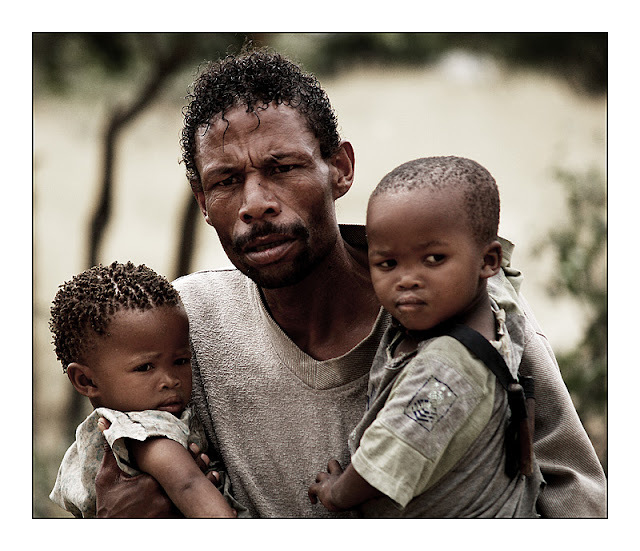 The plaits, which look like dreadlocks, are called nontombi and have a precise meaning. Women or girls usually have four or six nontombi, but when they only have three it means that someone died in their family. Mumuhuila Women are also famous for their mud necklaces, which are important as for each period of their life corresponds a specific type of necklace. When they are young, girls wear heavy red necklaces, made with beads covered with a mix of soil and latex. Later girls start to wear a set of yellow necklaces called, Vikeka, made of wicker covered with earth. They keep it until their wedding, which can last 4 years. Once married they start to wear a set of stacked up bead necklaces, called Vilanda. Women never take their necklace off and have to sleep with it. They also use headrests to protect their hairstyles. However, more and more men and women dress in a western way, because people use to make fun of them when they go to markets.
. In order to please the ancestors animal sacrifices have to be made. At birth a child is dedicated to a spirit by his parents. This is to "bless" and "protect" him. Mwila girl with her traditional hairstyle made of cow dungs, herbs, oil, and fat, to come to the weekly market in Hale. A way to show the other people the beauty of the clan. It works! The number of big dreadlocks has a meaning: 3 dreadlocks means there is a dead people in the family. 4 to 6 dreadlocks is the normal style.